Mr. Charles Ticker is a skilled estate litigation lawyer who has appeared at all levels of Ontario trial courts and the Court of Appeal. His estate litigation experience of over 35 years enables him to offer solutions to your problems, including aggressive representation of you in Court if necessary. Estate disputes are often driven by underlying family tensions. Estate litigation is emotionally charged from the start. You may have the idea from movies and television that estate litigation cases go to court all the time. In fact, most cases never go to trial. Taking a case to trial only makes an already expensive process even more taxing, both financially and emotionally. You are often already involved in the lives of those with whom you are quarreling. You are going to see them at future family events or your children may be good friends. Charles Ticker will work with you to put aside your emotions and deal with the legal issues. His goal is to get your dispute resolved as soon as possible — to help you get out of the nightmare and move on for the sake of your family. In Toronto, Rule 24.1 of the Rules of Civil Procedure states that all estate disputes must be mediated. Mediation helps to settle cases before they go to trial, saving those involved both time and money. The mediator, a neutral third person, helps two parties with relatively equal bargaining power to resolve the dispute outside of court. The mediator helps the two parties communicate and negotiate a resolution and provides reality checks along the way about what the outcome of the case may be if it was decided by a judge. Charles Ticker has acted as counsel at many mediations and is, himself, a qualified mediator who can guide you expertly through the estate litigation process. Although estate disputes rarely go to trial, it is often necessary to commence Court proceedings. Charles Ticker will explain the estate litigation process to you in detail, lay out the time frames and make sure you have realistic expectations. He will work diligently to protect your rights and to advance your claim. He has the expertise to help you through the litigation process. The person appointed as an administrator of an estate must ensure that he or she fulfills her duties as an administrator and that his or her legal rights are protected. There are many scenarios where estate administration errors may give rise to estate litigation against the administrator of the estate at a later time. Estate planning and estate administration should be done with advice from an experienced estate lawyer. Find out more.. In many parts of Ontario such as Toronto, Ottawa, and Windsor, mediation is mandatory part of the estate litigation process in many types of estate disputes. The purpose of estate mediation is to allow the parties involved in the dispute the opportunity to discuss the issues in the lawsuit and to avoid the financial and emotional costs associated with estate litigation. The majority of estate litigation cases settle well in advance of trial, and estate mediation is a crucial step in the process. Find out more.. If a beneficiary feels that the will is not fair, he or she may decide to contest the will. This process is also known as a will challenge. Estate litigation in relation to will challenges can be time consuming and expensive. There may be many reasons to contest a will. For example, if a person is left out of a will, he or she may decide to contest the validity of the will. Another situation that may give rise to a will challenge is if the testator lacked capacity at the time the will was executed. Find out more..
A dependant support claim allows a person who was a dependant of a deceased individual to claim support from the estate of the deceased. A person does not have to be directly related to the deceased in order to have a dependant support claim against the estate. Children, grandchildren, spouses, parents, and siblings may be able to make a claim against the estate. It is also important to note that there may be instances when adult children may also be able to make a dependant support claim against the estate. It is easy to see how a dependant support claim can lead to estate litigation. Find out more..
A guardian is a person appointed by the Court to make critical financial and personal care decisions for the incapable person. Deciding who should be appointed as a guardian can be contentious and emotionally challenging for all parties involved. Guardianship disputes are among the more emotionally challenging areas of estate litigation. If there is no power of attorney in place in place and a person starts to lack capacity, a guardianship dispute may ensure. Find out more.. Mediation is mandatory in most estate disputes in Toronto. The mediation process is an excellent opportunity for the parties of the estate dispute to settle the matter well in advance of trial. It is an opportunity to discuss the facts and issues of the case and to attempt to reach a cost-efficient solution. The mediation process is usually unclear to the parties involved in estate litigation. It is important to have sound legal representation during the mediation process. Find out more..
A beneficiary can challenge the handling of the estate accounts by the estate trustee by obtaining a Court order. This may result in the trustee being ordered to pass the accounts. The passing of accounts can be a difficult process for an estate trustee. The trustee can be compelled by a Court to pass accounts, or the trustee can do so voluntarily under Section 48 of the Estates Act. A failure to maintain proper accounting and records may result in extensive and protracted estate litigation. Find out more.. If you have been appointed to act as an attorney under a power of attorney, it is important to understand your legal obligations to the parties involved. Estate litigation may arise if it is alleged that the power of attorney has been misused. Power of attorney disputes may also occur if there are two or more attorneys appointed. If the attorneys are instructed to make decisions jointly, a dispute may arise if they cannot agree on an issue. Find out more..
An executor of a will has several duties to the beneficiaries and the estate. Estate litigation arising from the breach of these duties is common. There are many instances when a beneficiary may attempt to remove an executor. For example, if the executor is engaged in fraud or embezzlement, or gross misconduct the executor may be removed by a Court. Find out more.. Some of the most common dispute arising in estate litigation are due to the consequences of the actions of substitute decision makers. For example, the actions of the substitute decision maker under a power of attorney for property may result in power of attorney litigation. When preparing a power of attorney for property, it is important to be careful who is appointed as a substitute decision maker. Find out more..
Will interpretation is particularly important for the executor of a will. There are many instances where certain provisions of a will may be ambiguous. The will may be unclear as to what the beneficiaries are supposed to receive. The executor may distribute the estate and by doing so expose himself to liability. The executor may be sued by dissatisfied beneficiaries. Accurate will interpretation therefore is of paramount importance. Find out more..
Estate litigation is a complex area of law. There are many stages in estate litigation which require practical and cost-efficient guidance. 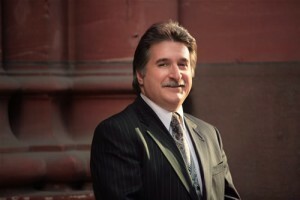 Mr. Ticker is an award-winning and vastly experienced estate litigation lawyer. He has been practicing law for over 35 years. The information on this website is not legal advice. It is for informative purposes only. To schedule an appointment, call Mr. Ticker at: 1-866-677-7746. A lawyer can only be retained after a consultation where all the details of the matter and retainer are discussed.